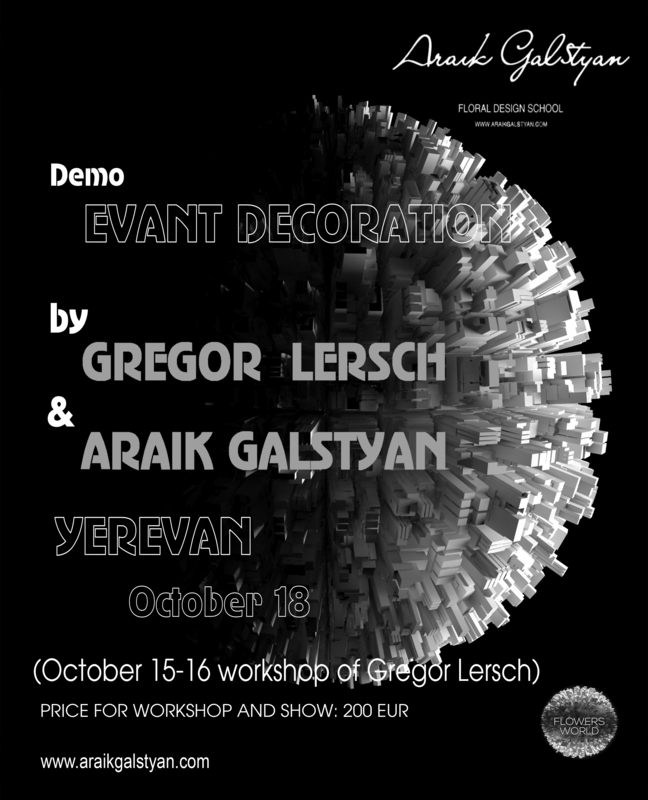 Browsing articles from "Август, 2013"
On 18 of October will be held forgettable demonstration «EVENT DECORATION» by Araik Galstyan and Gregor Lersch in Yerevan! Within this grandiose floristic event will pass workshop of Gregor Lersch «Asymmetry in Flower design» on 15, 16 of October, 2013. 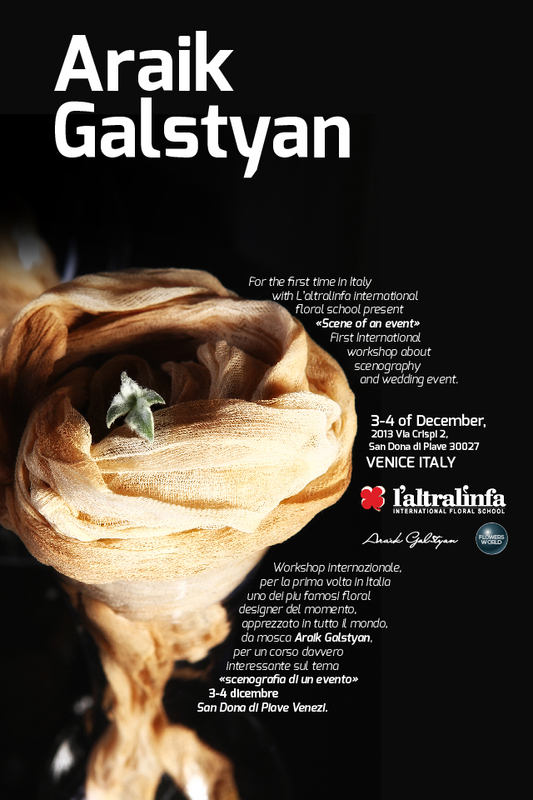 Araik Galstyan for the first time in Italy with L’altralinfa international floral school present “Scene of an event”. 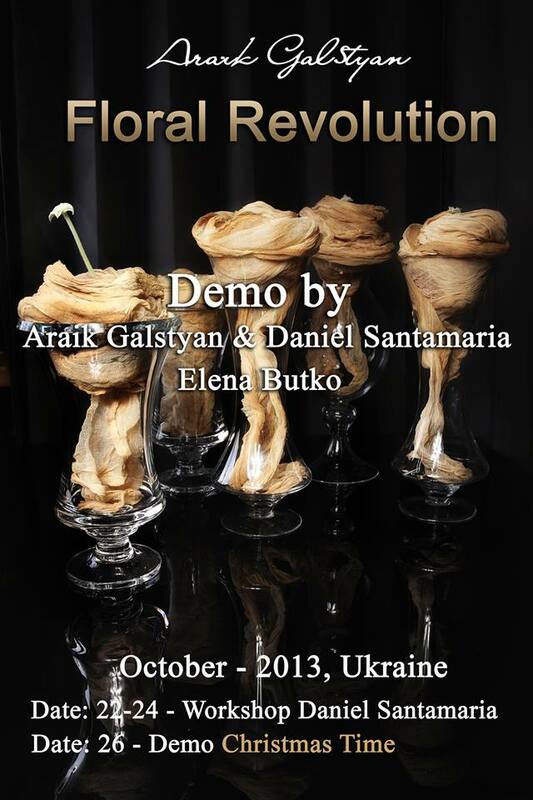 «Floral Revolution» workshop and demo will be held in Kiev, Ukraine on 22-26 of October, 2013.